The is the perfect getaway adventure… enjoy a thrilling seaplane flight over Alcatraz Island and San Francisco Bay, with a 100% private custom tour of San Francisco’s top sights, attractions and neighborhoods, at your own pace and schedule. The breathtaking 30-minute seaplane discovery flight begins with a complimentary meet-and-greet at your hotel in San Francisco downtown, Fisherman’s wharf area. We will drive you across the Golden Gate Bridge to go to Sausalito where we will check you in at the seaplane tour company. Experience the thrills of the breathtaking aerial views as you fly over San Francisco skyscrapers, monuments, parks, stadiums, beaches, and over iconic sights like Angel Island, Treasure Island, Oakland Bay Bridge, above Alcatraz Island, the word-famous Golden Gate Bridge and Sausalito. You’ll also fly along the Pacific Coast scenic wonders including Crissy Field, Baker Beach and Bonita Lighthouse. After your thrilling flight over San Francisco, we offer a private guided custom tour of San Francisco’s top sights and monuments including Chinatown, Little Italy, the Fisherman’s Wharf, Pacific Heights, Presidio, the Golden Gate Bridge, the Golden gated Park, Twin Peaks and much more. At the end of your private city tour, we will accompany you to your hotel or favorite restaurant or drop you off at a location of your choice in the city. 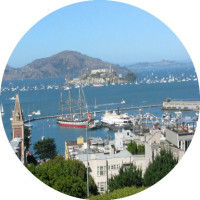 This custom adventure includes the applicable taxes, a private round trip to Sausalito, the seaplane adventure fees and taxes included, as well as the pick-up and drop-off at your hotel in San Francisco at the end of your adventure. The is the perfect getaway adventure; enjoy a seaplane thrilling flight over Alcatraz Island and San Francisco Bay, and a 100% private custom tour of San Francisco top sights, attractions and neighborhoods at your own pace and schedule. The breathtaking 30-minute seaplane discovery flight begins with a complimentary meet-and-greet at your hotel. 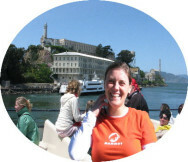 We will drive you across the Golden Gate Bridge to Sausalito where we will check you in at the seaplane tour company. Experience the thrills of the breathtaking aerial views as you fly over San Francisco skyscrapers, monuments, parks, stadiums, beaches, and over iconic sights like Angel Island, Treasure Island, Oakland Bay Bridge, above Alcatraz Island, the word-famous Golden Gate Bridge and Sausalito. You will also fly along the scenic wonders of the Pacific Coast including Crissy Field, Baker Beach and Bonita Lighthouse. After your thrilling flight over San Francisco, we offer a private custom guided tour of San Francisco’s top sights and monuments including Chinatown, Little Italy, the Fisherman’s Wharf, Pacific Heights, Presidio, the Golden Gate Bridge, the Golden gated Park, Twin Peaks and much more. At the end of your city private tour, we will accompany you to your hotel or favorite restaurant or drop of location of your choice in the city. This custom adventure includes your applicable taxes, a private round trip to Sausalito, the seaplane adventure fees and taxes included, as well as the pick-up and drop-off at your hotel in San Francisco at the end of your adventure. Time and length of this combo adventure: The whole combo adventure tour takes about 5 hours on average to complete, but it will depend on your own pace, the road and weather conditions. This exciting seaplane adventure is combined with a 100 % private custom guided tour of San Francisco’s top sights and attractions and a 30-minute seaplane discovery flight over Alcatraz Island and San Francisco Bay Area. Pick-up time is around 9 am or any other time you prefer when booking, so it can be in the early afternoon as well. The tour includes a complimentary meet-and-greet at your hotel in San Francisco downtown or in the Fisherman Wharf, or anywhere nearby. Your personal and passionate tour guide will drive you across the Golden Gate Bridge heading to Sausalito where we will check you in at the seaplane tour company. We will take off from Richardson Bay in Sausalito, and you will enjoy a breathtaking 30-minute seaplane discovery flight over San Francisco skyscrapers, monuments, parks, stadiums, beaches, and over iconic sights like Angel Island, Treasure Island and Oakland Bay Bridge, above Alcatraz Island, the Golden Gate Bridge and Sausalito. You will also fly along the scenic wonders of the Pacific Coast including Crissy Field, Baker Beach and Bonita Lighthouse. After your thrilling flight over San Francisco, we offer a private custom guided tour of San Francisco’s top sights and places to see including Chinatown, Little Italy, Nob Hill, the Fisherman’s Wharf, Pacific Heights, Presidio, Golden Gate Bridge, Sea Cliff, Golden Gate Park and Twin Peaks, weather permitting. Enjoy many photo stops along the way and gain access to sites and neighborhoods normally prohibited to all other ground transportation. 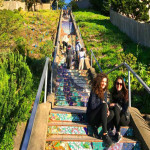 This tour will take you to the famous attractions of San Francisco, its narrow streets like Lombard Street, and other off-the-beaten-path places. Lombard Street is accessible by SUV only, but not by van. The order of the trip itinerary may change based on factors like the season, time, availability of the seaplane flights and weather conditions. The advantage you get when touring with us, is that we will offer you a more personalized custom trip itinerary to meet your needs and preferences. We can adjust the tour to maximize your chances to fly on the seaplane and visit San Francisco all on the same day. Time and length of this combo adventure: It takes about 5 hours on average to complete this combo adventure, but it will depend on your own pace, road and weather conditions. What’s included in this combo Seaplane and San Francisco city tour? 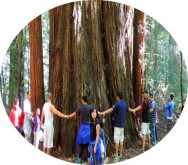 This custom adventure includes your private round trip to Sausalito, the seaplane adventure fees and taxes included, the pick-up and the drop off at your hotel in San Francisco, a total of 5 hour guided tour of San Francisco’s top sights by SUV, or luxury van, based on your choice of vehicle and group size. This thrilling worry-free getaway is a bucket-list adventure and appeals to all ages and tastes. What’s not included in this 5-hour combo tour? Meals, entrance tickets to any optional site(s) or monument(s), driver’s gratuity tips (gratuities are recommended and customary in the USA at 15%-20%), overtime. Regarding our terms and refunds policy, we have reserved this tour and date for you and turned down other reservations to honor yours. We hope that you don’t cancel your tour, however, if you still want to cancel, please click on the tab Cancellation & Refund Policy to learn more. Also, we do honor our city, Alcatraz and Redwoods tours even with one guest, but the semi-private seaplane ride requires a minimum of two guests per trip. There can be a maximum of six people on board or a minimum of two. Don’t worry – there is a window seat for everyone on board. How safe is the flight? There is a patchy fog /clouds over the Golden Gate Bridge, will we still fly? Yes, fog is unpredictable and can be very tricky as it can come and go at any time and in just minutes time. We will try our very best to fly you over the bridge or alternate the flight route so that you can get the best view of the bridge possible. Under what weather circumstances will my flight be canceled? All flights are subject to cancellation for severe weather conditions. This decision is made by the pilot up to 30 minutes prior the scheduled flight, but only the portion and cost of this flight is refundable when it is cancelled by the pilot due to unforeseen weather conditions or reasons. Why do you need the age and weight of each participant? All passenger weights are required as we do have a maximum weight limit based on the total weight of all participants for safety considerations. Pilots are also trained to load the aircraft safely based on weight distribution, so please be patient with where the pilot asks you to sit. Besides – everyone gets a window seat! For all misleading information regarding age and weight, the flight might be canceled and will not be refundable. What age is considered to be a child? Anyone under the age of 12. Rates for a child will only apply for children aged 3-11 years. Children under two years of age may sit on a parent’s lap and are free of charge. The pilot will provide noise cancellation headsets or earplugs but if you have your own, feel free to bring them on board. Why do I need to sign a release waiver before boarding my flight? All passengers are required to sign a waiver before boarding their flight, this is the norm standard operating procedure as everywhere else. Approved transactions of this seaplane air tour on our website do not constitute a guarantee of availability until the seaplane company and providers approve it. This can sometimes take several days to confirm, so the sooner you book, the better to maximize your chances to fly. This is beyond our control as we don’t own this third-party seaplane company, and we do not work on commission. We simply include this new air-tour to offer more adventures and choices. -The itinerary may change based on your time, the road or weather conditions, pick-up location and preference. When it is rainy or foggy, we have to skip some areas /places for safety considerations or due to the lack of visibility. -Please note that vehicles taking 7 passengers, or more, are prohibited entry to many places in San Francisco, like Lombard Street, Alamo Square, Telegraph Hill, Marina, Sea Cliff, Hyde, and wherever a sign is posted in this regard. 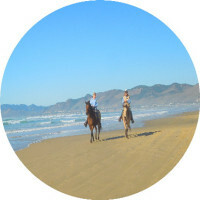 We therefore recommend our SUV tour option, which is without doubt the best way to travel to these sights. Also, the city tour includes the places that are stated in the tour description, and not the entire city so you can squeeze all the above in one day custom tour; the seaplane flight lasts 30 minutes but takes an hour to get it done as we have to check you in and out before and after the flight. -Smoking is not allowed in our vehicles. We are sorry, but our vehicles are not pet friendly and not equipped for passengers with disabilities or wheelchairs. Thank you for understanding. -Please note that many sites, attractions, landmarks and neighborhoods are restricted and prohibited to large vehicles and vans including places like Lombard Street, Russian Hill, Telegraph Hill, Sea Cliff, Marina, Muir Beach and Overlook, Alamos Square (painted ladies), and all other areas restricted by law to van or bus tours. The SUV tour option is the perfect choice as you can go anywhere in the city where larges vehicles are prohibited. What is your Cancellation & Refund Policy? Regarding our terms and refunds policy, we have reserved this tour and date for you and turned down other reservations to honor yours. We hope that you don’t cancel your tour, however, if you still want to cancel, please click on the tab Cancellation & Refund Policy to learn more. Also, we do honor our city, Alcatraz and Redwoods tours even with one guest, but the semi-private seaplane ride requires a minimum of two guests per trip. There can be a maximum of six people on board or a minimum of two. Don’t worry – there is a window seat for everyone on board. There is a patchy fog /clouds over the Golden Gate Bridge, will we still fly? Yes, fog is unpredictable and can be very tricky as it can come and go at any time and in just minutes time. We will try our very best to fly you over the bridge or alternate the flight route so that you can get the best view of the bridge possible. Under what weather circumstances will my flight be canceled? All flights are subject to cancellation for severe weather conditions. This decision is made by the pilot up to 30 minutes prior the scheduled flight, but only the portion and cost of this flight is refundable when it is cancelled by the pilot due to unforeseen weather conditions or reasons. Why do you need the age and weight of each participant? All passenger weights are required as we do have a maximum weight limit based on the total weight of all participants for safety considerations. Pilots are also trained to load the aircraft safely based on weight distribution, so please be patient with where the pilot asks you to sit. Besides – everyone gets a window seat! For all misleading information regarding age and weight, the flight might be canceled and will not be refundable. What age is considered to be a child? Anyone under the age of 12. Rates for a child will only apply for children aged 3-11 years. Children under two years of age may sit on a parent’s lap and are free of charge. The pilot will provide noise cancellation headsets or earplugs but if you have your own, feel free to bring them on board. Why do I need to sign a release waiver before boarding my flight? All passengers are required to sign a waiver before boarding their flight, this is the norm standard operating procedure as everywhere else. -Approved transactions of this seaplane air tour on our website do not constitute a guarantee of availability until the seaplane company and providers approve it. This can sometimes take several days to confirm, so the sooner you book, the better to maximize your chances to fly. This is beyond our control as we don’t own this third-party seaplane company, and we do not work on commission. 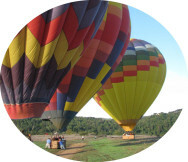 We simply include this new air-tour to offer more adventures and choices. The Alcatraz tour itself takes about 3 hours on average to complete (based on your pace and time) in addition to the 4-hour private city tour.